The out journalist topples the conservative behemoth in the ratings. The Rachel Maddow Show — the usually wonky, always brilliant show hosted by an out and proud lesbian — has bested Fox News' marquee program, Hannity. Rachel Maddow is now the most-watched cable news host on television. Maddow's eponymous show reached 3.058 million viewers last month; its best performance ever. That was about 58,000 more people than Fox News' Hannity, which also airs at 9 p.m. Eastern. Maddow also captured more younger viewers than Hannity — something that greatly appeals to advertisers — reaching 671,000 people between the ages of 25 and 54, while Hannity had 616,000 viewers in that age range. While Fox News remains the dominant cable news channel in terms of ratings, its reach is dropping (as is CNN's). MSNBC continues to grow, with ratings up 30 percent in the first quarter of 2018, compared to the same time period last year. 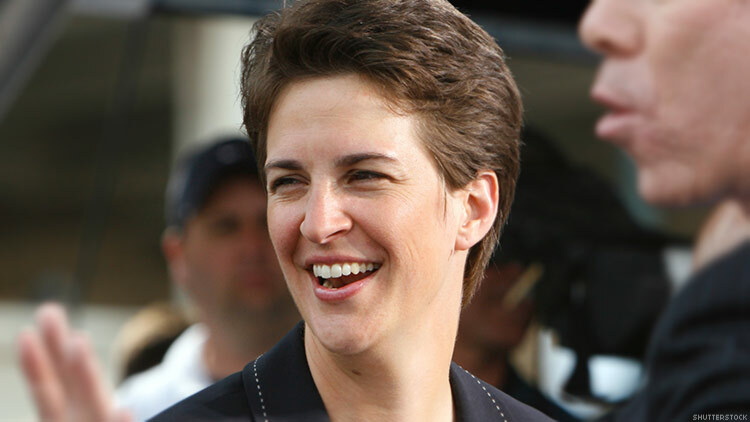 Maddow's show is unlike other program on CNN, Fox, and MSNBC, with Maddow doing deep investigative dives into the news of the day; her coverage of Trump's various connections to the regime of Russian dictator Vladimir Putin has been lauded.